Brady is a midfielder and 2 year varsity letter-man. Brady helped orchestrate the Hawks attack out of the midfield the last half of the season. 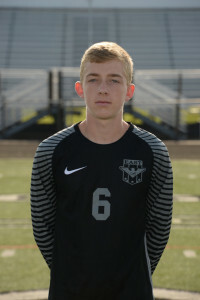 In the 2nd round of the OHSAA tournament game against Oak Hills, Brady scored one of the best goals of the year when he volleyed the ball 20 yards out from the goal to give the Hawks their 2nd goal of the game. His efforts helped the Hawks advance to the District semi-finals. 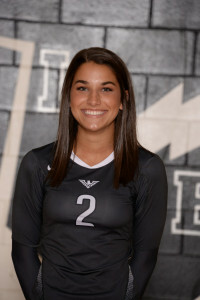 Grace is a team captain and one of the senior leaders for the Girl’s Volleyball Program. She is currently leading the team in digs and also leads the team in serve receive passing, and is 4th on the team in service aces. Grace is also getting it done in the classroom with a 4.21 GPA.